“Q: How do you find all this business of having screaming girls following you all over the place? I discovered this book on my quest for more picture book biographies to use with our PYP : How we express ourselves units of inquiry. I’ve been trying to widen the scope of our collection in the arts area by including books on the different types of art forms including music and dance. This book is great introduction to one of the most well known rock and roll bands of all time for children, so you won’t find information here about their dabbling in drugs or spiritual awakening. There is plenty describing their early years, from first getting together in Liverpool and naming their band through to all the heady years of Beatlemania. The book describes how their quirky and intelligent sense of humour helped them cope with the rigours of new found fame and the pressures on their friendship. Interestingly, you can see how the older generation of the time would have found this type of humour silly but to me it seems very clever. The full colour illustrations are outstanding and when I looked through the book I noticed these first before reading the text in a second sitting. The cover with its sunny yellow cover almost commands the reader to pick this off the shelf. 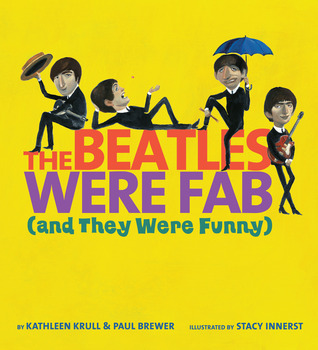 The book would be excellent shared between those of us who were alive when the Beatles were at their peak and a new generation of kids who are still hearing some of these songs today. Great to pair with a standard non-fiction informational text like the Story of rock and roll – picture book biographies like this one really bring the musicians to life. I think playing some of the songs before or after reading would help deepen the connections. This picture book could also be used as part of a Unit on then and now – looking at the differences of 50 years ago and today, to show children how music and teenage life have changed between their grandparents era and theirs. Published by Houghton Mifflin Harcourt, 2013. I borrowed this copy from Auckland Libraries but I have just ordered a copy for our school library. At first glance I thought this picture book featured the lyrics of Bob Marley, however reading it once I had arrived home from the Public Library, led to the delightful discovery that the author has written the story of the life of Bob Marley in free verse. I didn’t know much about Bob Marley before reading this book and I suspect many kids won’t know his name these days unless they are familiar with his enduring and very catchy lyrics. For our students that inquire into different forms of artistic expression through their PYP : How we express ourselves unit of inquiry, music is one area I need to resource more fully. I’ve recently bought some multiple user ebooks on hip-hop because we had a hole in our collection in that subject and I can see some books on reggae would be a good addition too. I’ve had some interesting conversations with our Music and Performing arts specialists recently – one part of our teaching team that I think has been overlooked in our resourcing mix in the past. I think they deserve some resources that they can use to paint a very holistic picture of any artist – musical or visual – when they are teaching about styles and movements. I love this…and when the verse is combined with the warm, ocherish, plump illustrations, the words and pictures paint a very vivid picture of the boy, the man and the musician. 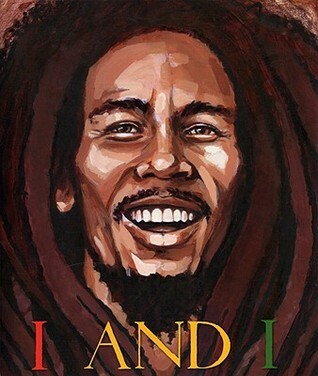 I and I : Bob Marley / Written by Tony Medina and illustrated by Jesse Joshua Watson. Published by Lee & Low Books, 2009. This is available via back order on Wheelers – NZ $36.99, but I borrowed this copy from Auckland Libraries. We were lucky enough to have had the opportunity to host Julia Donaldson at our school today. Julia, her husband and helpers from MacmillanKids presented an amazing show based on her poems, picture books and songs. I think I fell in love with her stories all over again. Our audience of Year 4-6 students hadn’t forgotten the words to the Gruffalo and seemed to thoroughly enjoy themselves. This was fantastic – firstly because I had chosen which year levels got to see the show and I knew that teachers of the younger year levels were probably very disappointed to have missed out. However, the success of the afternoon, between the thoroughly enjoyable, fun performance and the enthusiastic audience participation, reminded me how the meaning of a story in a picture book doesn’t stop when the reader is considered too old to have them read aloud. These stories came alive in the form of mini dramatic works. The older children really understood the humour and drama of the stories in a way that our youngest children might have missed. Most importantly they loved it! I took the opportunity to buy a few of Julia’s picture books that we don’t have in our collection. These might be the focus of my next few picture book reviews. Firstly, I’m looking at a picture book that I can use with our kindergarteners (three and a half and upwards). This one fills two gaps – the first being that we need some new titles aimed at really young children, many with English as a second language and the second that our PYP Music specialists have asked for more titles that feature music, musicians and/or rhythm. This title is one of a series where Julia has partnered with illustrator Nick Sharratt to produce books for younger readers. They emphasise simple rhyming text. I do think Julia is a master at meaningful rhyme – there’s never a word out of place and the words all make sense – nothing is chosen just because it rhymes, but because there is a connection. This would be wonderful used in a wriggle and rhyme type public library setting as well as by music teachers for mini musical acts. I’m going to read this to the three and a half year olds tomorrow. I have every reason to think they will love it! 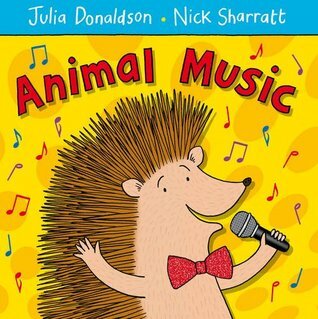 Animal music / Written by Julia Donaldson and illustrated by Nick Sharratt. All the picture books for sale today were supplied by Graham’s Paper Plus in Glenfield, who have some signed copies of Julia’s stories.